Travis Fields wanted to get inside the Alaska Psychiatric Institute. One night last November, he threw a bench at a glass window in the entryway and lay down until police arrived, according to court filings. When the cops showed up, the 32-year-old told them he was just trying to get a bed and some cigarettes. That didn’t get him admission to Alaska’s only psychiatric hospital, but it did get him a misdemeanor criminal charge. The criminal charge should have done the trick: In January, an Anchorage judge noted that Fields was making erratic statements in court and “seemed to be suffering from delusions.” She ordered API to conduct a competency evaluation, to determine whether he was sane enough to face the charge against him. But API wrote back to the judge saying a backlog meant Fields would have to wait until mid-April just to get an initial evaluation. Until then, his case would be at a standstill. In the meantime, Fields, who has a 15-year history of criminal charges linked to his diagnosis of paranoid schizophrenia, has been sitting in jail, warehoused and waiting. Lawmakers and officials agree something has to change — soon. People gripped with psychosis are spending weeks and months in legal limbo, waiting just to be seen by a doctor who will determine if they are competent to stand trial, according to records and accounts from attorneys, state officials and family members of defendants. Sometimes the wait is longer than any sentence they’d face for their charges. Those found “incompetent,” or too mentally ill to proceed, must again wait for one of just 10 beds for a chance to be “restored” to competency through medication and treatment at API. As of December 2018, the average wait for someone to go from court order for evaluation to a forensic bed at API was just under six months, according to an analysis by Anchorage consulting firm Agnew Beck. The gridlock in Alaska’s competency restoration system is so bad that Department of Health and Social Services deputy commissioner Albert Wall told lawmakers he was losing sleep over it at a Feb. 13 legislative hearing in Juneau. “It keeps me up at night,” he said. On that day, the wait list for a mentally ill defendant to get an initial evaluation was 54 people, Wall told the lawmakers. There were 28 people in line for forensic restoration beds available at API. “It is untenable for we as a state to continue in this fashion,” Wall said. Three weeks later, on Thursday, the numbers had barely budged, with 53 people in line for evaluations and 27 waiting for a bed at API. Litigation challenging the long wait times is working its way through the court system. In October, the Alaska Public Defender Agency filed a motion, called a writ of habeas corpus, that asks the court to either make the state provide the mental health services required by law in a timely fashion or let the defendants out of jail. If a judge finds that the state is violating the rights of detainees, it could have huge and expensive consequences for the state. In a similar case, Washington was fined close to $50 million after a federal court found it was unconstitutional for the state to take so long to provide competency evaluations to defendants. The filing says the long wait violates a defendant’s constitutional right to due process. The Trueblood decision, as the case is known, also forced Washington to spend hundreds of millions of dollars expanding services in order to meet court requirements. Everybody agrees that jail is no place for a person in a state of psychosis. The motion filed by the Public Defender Agency notes that people with mental illnesses do especially poorly under the disciplinary management of the jail, and often end up in solitary confinement because of behavioral outbursts. Alaska’s competency system is like a conveyor belt, picking up some of the sickest people in the state as they collide with the criminal justice system, trying to make them well — or at least well enough to be prosecuted — and often picking them up again for another go-round when they are finally released and arrested again. Here’s how it works: When a person is charged with a crime in Alaska, misdemeanor or felony, and there’s reason to believe the person is not mentally competent, the case can’t move forward. To be considered mentally competent a defendant has to be able to understand the court proceedings and potential penalties they face. Defendants have to be able to assist their attorney. A judge can order that a person suspected of not being competent — either because of strange courtroom behavior or other concerns flagged by attorneys — be evaluated by a forensic psychologist. The first problem: There are only two people, plus an intern, in the state qualified to do that. They are all in Anchorage, at the Alaska Psychiatric Institute. And there are lots of people whose sanity is in question enough to trigger the competency process. It goes like this: The evaluators write a report. A judge considers it. And then a judge can find a person either incompetent to stand trial or well enough to go forward. In 56 percent of the cases, a judge finds the person incompetent, according to the Agnew Beck analysis. If found incompetent, the person can be committed to API for what is euphemistically called “competency restoration.” That usually involves getting a person on medication and teaching them court terms, like what a jury is and how to act in a courtroom. API has, at most, 360 days to restore the person before they must be discharged. If a person isn’t competent by that point, the charges have to be dropped. That’s what happened to Clayton Charlie, the Anchorage man accused of killing a groundskeeper at the Alaska Zoo in November. API spent months last year trying to restore Charlie, 33, to face charges in a series of violent assaults. In late October, the court found that his illness remained so severe he was unfit to face the criminal charges. The charges were dropped. Two weeks later he was arrested for stabbing to death Michael Greco in an encounter in the zoo parking lot. The people caught up in the competency process tend to be male, have been diagnosed with schizophrenia, and are disproportionately Alaska Native. The Agnew Beck study found that almost half of Alaska’s forensic patients are diagnosed with schizophrenia, compared to only about 11 percent of the rest of API patients. Some 82 percent are men. A third are Alaska Native. They tend to cycle through psychiatric hospitalizations: Almost half of the forensic patients in 2018 had been committed to API at some point in the previous three years. The Agnew Beck study found that more people are entering the competency process than in previous years. 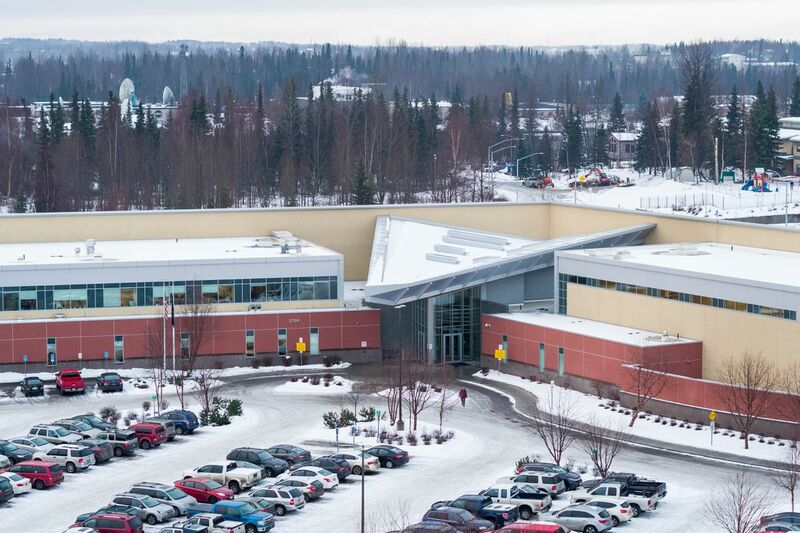 According to the Alaska Court System, in 2018 there were 231 criminal cases that involved an order for a defendant to be evaluated for competency. Of those, 184 were misdemeanors. That’s up from 166 total cases in 2013. The misdemeanors present an extra level of complexity, said Rhoades. Misdemeanors are punishable with a year in jail — at maximum. If a person is waiting for months for their competency to be evaluated, that time period could exceed their whole sentence if they were to be convicted. “It is entirely disproportionate to the sentence,” Rhoades said. Judges are taking matters into their own hands in some cases. “Delays in competency evaluation and restoration process increasingly lead to criminal charges being dismissed,” the Agnew Beck analysis found. The state is mulling some fixes for the problem. The Agnew Beck analysis found that constructing a new forensic hospital probably wasn’t necessary, as long as new beds could be added at API. Huckshorn, the Wellpath consultant, said the company could address some of the staffing gaps by offering forensic psychologists higher salaries than the state. At a hearing in Anchorage’s Boney Courthouse on Wednesday, Travis Fields shuffled in handcuffed to five other men. He wore an orange jail jumpsuit. His hair was long on the sides but balding on top, like a monk’s tonsure. Fields has spent most of the last 15 years shuttling between jails, API and halfway houses, with plenty of competency evaluations and attempts at restoration along the way. But a close reading of his court cases shows he’s never waited this long in jail for a competency evaluation before. He’d been in jail since December for the case, which had been a felony dropped to a misdemeanor. Fields is originally from the Southeast Alaska town of Metlakatla. Court records show a diagnosis of paranoid schizophrenia. His criminal history outlines a series of outbursts — usually at a hospital or another facility — where he breaks equipment, threatens people or in a few cases assaults them, often when being discharged or asked to leave. In court, a judge and attorneys discussed the fact that Fields’ competency evaluation wasn’t scheduled until April 13. Fields quietly looked down at his handcuffs until the hearing turned to his own court case, at which point he began a series of disjointed statements about a park, a dead girlfriend, and a conspiracy. His attorney gently shushed him. The judge said the wait proposed by API for competency evaluation wasn’t acceptable. She scheduled another hearing, in a week.